In the census and other forms, there is no option to choose 'aboriginal religion'. Representatives say this scatters the population of tribes in the country and forces them to pick other religions. 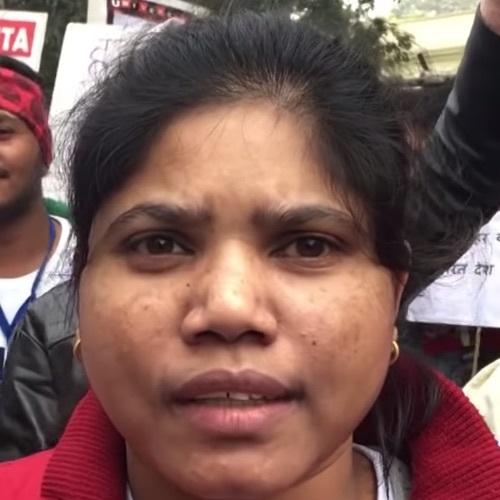 New Delhi: Recently, while media channels were running a series of debates about the escalating tensions between India and Pakistan, tribal representatives from around 19 states arrived at Jantar Mantar, and left after a day of silent protest. As always, TV channels as well as the newspapers in Delhi did not report on why they were protesting. The tribal communities, constituting 12 crore of the country’s population, were protesting about religion. Although there has been a long debate about the religion that tribal communities follow, the tribals who took part in the protest were demanding the right to choose tribal or aboriginal religion as an option in the census or any other forms. They say that in 1951, when the first census in independent India was being conducted, ‘tribe’ was available as the ninth option under the column for religion. It was later removed. The representatives allege that its removal has led tribes to be counted under different religions, which they say causes great harm to their communities. 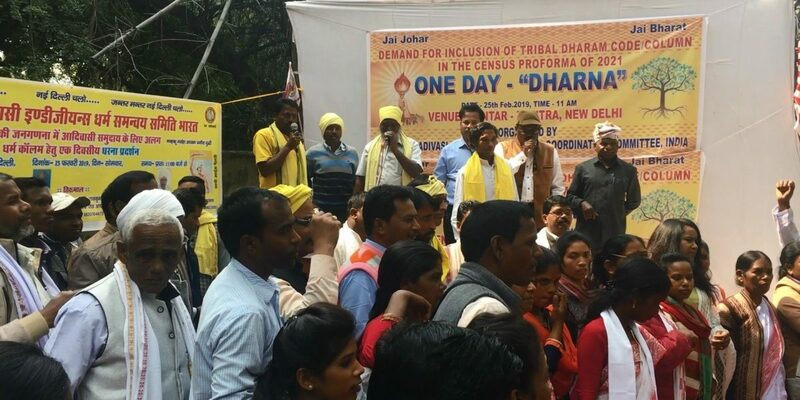 Mahendra Dhruva, a tribal activist from Bihar, says the census form has only six options under the religion column – Hindu, Muslim, Christian, Buddhist, Jain and Sikh. “If we do not consider ourselves followers of any of these religions, which option should we choose? Before 2011, a seventh option, “Others” was provided and most of us used to opt for it. But now, even that has been removed,” he said. He said there is a possibility of the Adivasi population getting scattered, and it will be difficult to know the actual population of the tribe in the country. 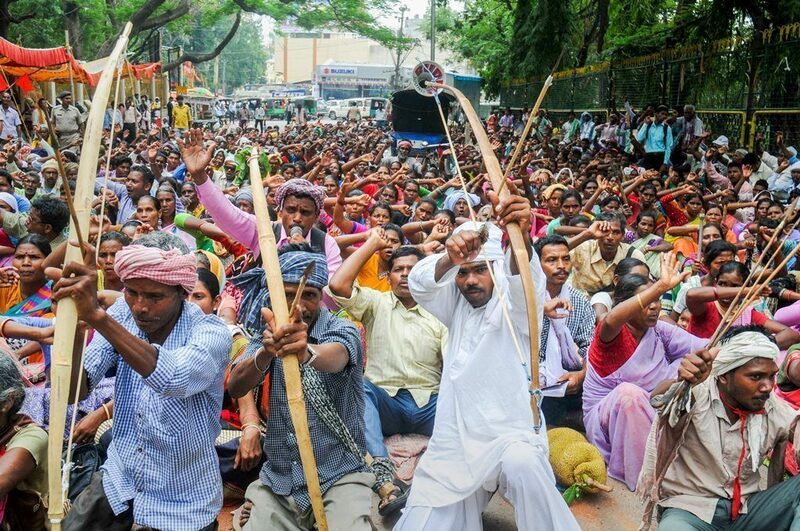 “We want a separate religious code option for all the tribals of the country,” said Dhruva. He alleges that the removal of the ‘Aboriginal’ option is an attempt by the government to make them “religious slaves”. Material found on government websites regarding the census adds to the claims of the tribal representatives. As per instructions issued for the census conducted in 2001, the six religions – Hinduism, Islam, Christianity, Buddhism, Jainism and Sikhism – were given the code 1-6. If a person follows another religion, the enumerator is asked to write the name. The government has made it clear that the other religions will not be given a code number. A similar method was adopted in the 2011 Census. The representatives believe that the religious practices of different tribal communities in the country are similar to a large extent, as most of them are worshipers of nature. They say their philosophical ideas are also similar. The Sarna Adivasis of Jharkhand have put forward this demand for several years. They demand not to be counted as Hindus in the census, saying their religion is Sarna. Members of the community inhabit the Chhota Nagpur region. In the absence of a separate religious code, what are the practical problems that tribal communities face everyday? Since then, tribes who were not Christians began to be counted as Hindus. “As a result, tribal communities had to suffer a lot historically. The Gondwana Mahasabha started demanding the Koya Punem religion for Adivasis even before 1950. There were demands for Gondi religion too, but it did not get recognition,” he said. Despite constituting a major chunk of the country’s population, and following different religious practices, why have tribes been deprived of a separate religious identity? Aakash holds the Brahmanical ideology responsible for it. “After independence, all those who came to power were followers of the Brahmanical ideology. That’s why they viewed tribals from that perspective. The RSS calls the adivasis ‘vanvasis’, or forest-dwellers, a label we do not approve. With this kind of hatred and discrimination, the government will not recognise the demands. Labelling tribals as Hindus swells the Hindu population and increases their vote bank. On the other hand, many tribals have also started identifying themselves as Hindus because that’s what they have been told repeatedly since 1950,” says Aakash. Quoting an instance, Aakash says he asked his grandfather how he came to be a Hindu. “He told me, it is because it was written on his caste certificate. Hindu is written under religion and Gond under caste. He has been identified as Hindu since independence,” he says. Due to the repetition over the past 60-70 years, the current generations automatically identify themselves as Hindus. “But when you look at their customs and traditions, they have no connection with the Hindu religion,” the researcher says. According to Aakash, an option should be provided to identify all tribal communities. Whether it is Koya Punem, Adi, Sarna, or any other, they all believe in aboriginal philosophy. Translated from the Hindi original by Naushin Rehman.